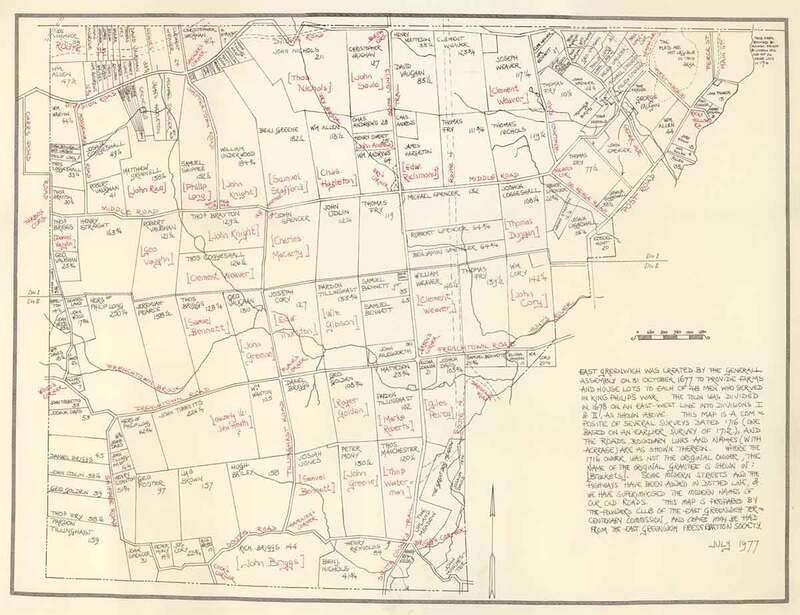 East Greenwich was created by the General Assembly on 31 October 1677 to provide farms and house lots to each of 48 men who served in King Philip’s War. The Town was divided in 1678 on an East-West line into Divisions I & II. There is a larger version of this map in the Library/Archive member's section.